Putra Perdana is the Prime Minister‘s Department Complex housing several government buildings and agencies. It is located on the main hill in Putrajaya, and was built in 1997. The buildings in the complex are incluenced by Malay, Islamic and European architecture, hence its unique look. This building has also become the icon for Putrajaya, with its distinctive green dome and clay like coloured buildings. Besides the government complexes, are also the Putra Mosque, the Dataran Putra, and Perdana Walk. Short Description: The Perdana Putra is a building in Putrajaya, Malaysia which houses the office complex of the Prime Minister of Malaysia. 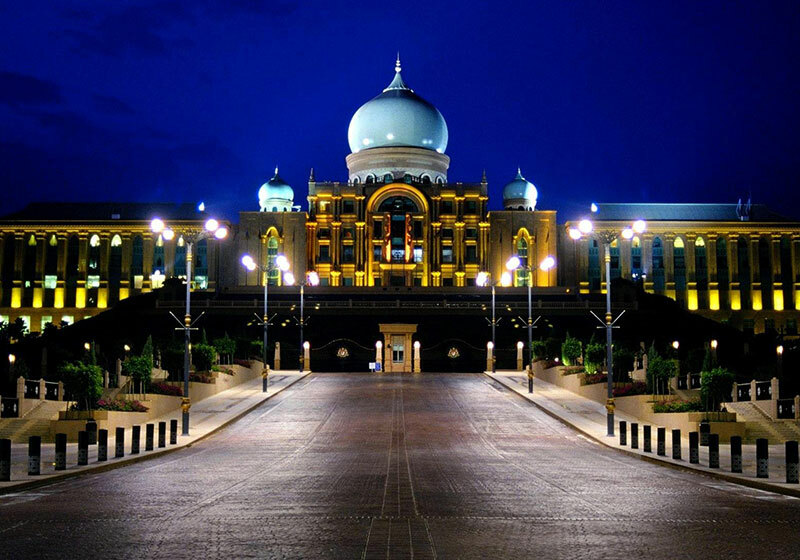 Located on the main hill in Putrajaya, it has become synonymous with the executive branch of the Malaysian federal government.